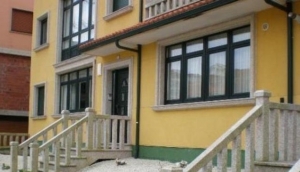 If you are looking for an extended stay and would like to rent property in Galicia then look through our listings. We have compiled many reasonably priced properties that are available to rent. Casa Rural Terra Santa offers modern accommodation with free Wi-Fi, a free buffet breakfast and free bicycles. It is just 20 minutes' drive from Sanxenxo and Pontevedra..